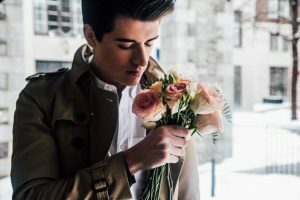 Disclosing Your Asperger's Diagnosis: Important Considerations | Kenneth Roberson, Ph.D.
Before disclosing your diagnosis, take time to consider a few pros and cons. Learning you have Asperger’s syndrome is one matter. What to do with that information is another. Should you tell people or keep it to yourself? What are the pros and cons of either decision? Disclosing your diagnosis requires some consideration since once you tell someone things are no longer the same. That information is out there. Yet, not telling anyone can work to your disadvantage. It’s harder to get the support you need and it can be lonely living with important information about you that no one else knows. You are likely to be challenged on whether your diagnosis is correct. Some people don’t want to hear that you have Asperger’s. They don’t believe in it, or they are afraid there is such a thing, or perhaps they worry they might have it. Whatever their beliefs, biases or assumptions it’s not uncommon to hear people say, “oh, you don’t have Asperger’s” or “how do you know for sure?” or other doubts about your diagnosis. Don’t be surprised if people respond to your diagnosis as bad news. In their minds, you have a severe, and likely incurable, medical and/or mental health condition that destines you to never-ending loneliness and misery. Most likely they don’t mean this with any ill intent. Rather, they are uninformed. Asperger’s is not a disease. It is who you are. Be prepared for some misunderstanding. People don’t always hear information in the same way you present it. They have preconceptions and assumptions that color what they hear. Conversely, be prepared for more acceptance, support, and encouragement than you expected. You are likely to find out how caring people can be. You aren’t bad because you have Asperger’s. You aren’t defective. You don’t have something wrong with you. You are different than some people, just like some people are different from you. Asperger’s is part of natural human diversity, not an abnormality. If anyone thinks less of you because you are on the spectrum, that’s their problem, not yours. Why do you want to disclose your diagnosis? What are you hoping to achieve? Would it improve a personal or professional relationship? Are you looking for support, encouragement, understanding, better working conditions, or access to needed resources? Do you want relief from loneliness? Are you hoping it will make you feel better because you can’t think of any alternatives? What are the risks of disclosing? Are you prepared to be misunderstood, criticized, rejected, or to receive other negative reactions even though you don’t deserve to be? Will this affect your employment, access to insurance, or put at risk resources you depend upon? Are you clear in your own mind about the changes you want? It’s best to be as clear as possible about how you want people to use this information. If, for example, you hope to improve your marriage, be as clear as possible about the changes you would like to happen. Try to explain, as best you can, those changes and communicate your intent to contribute whatever you can to make those changes occur. You are an agent of change, just as you expect others to be. Can you ask for and accept help? Disclosing your diagnosis is a big step to take, not without risk but offering the opportunity for many rewards. It’s probably not an easy thing for you to do. Are you willing to get help making this decision and carrying it out? Once you’ve disclosed your diagnosis are you open to asking for support and understanding? Remember, we rise by lifting others. There are plenty of people around who want to help. Take advantage of them. You, and they, will be better for it.